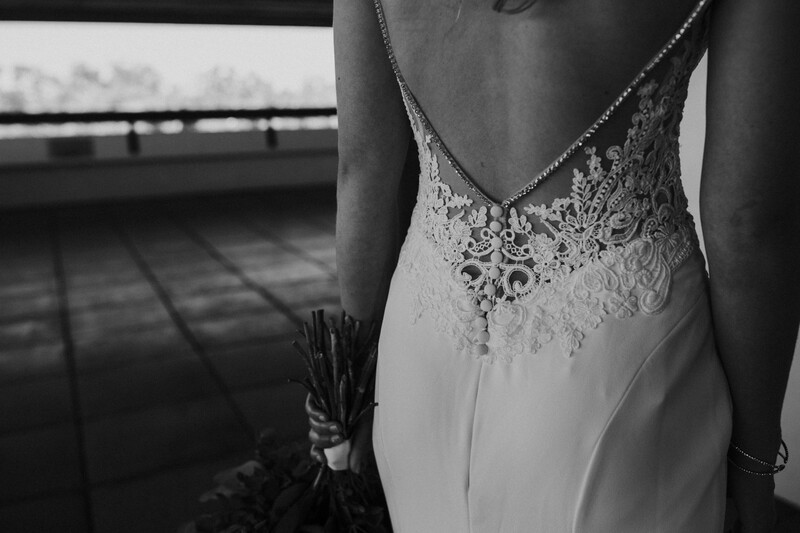 Dress: Michele's Bridal and Formal Wear. 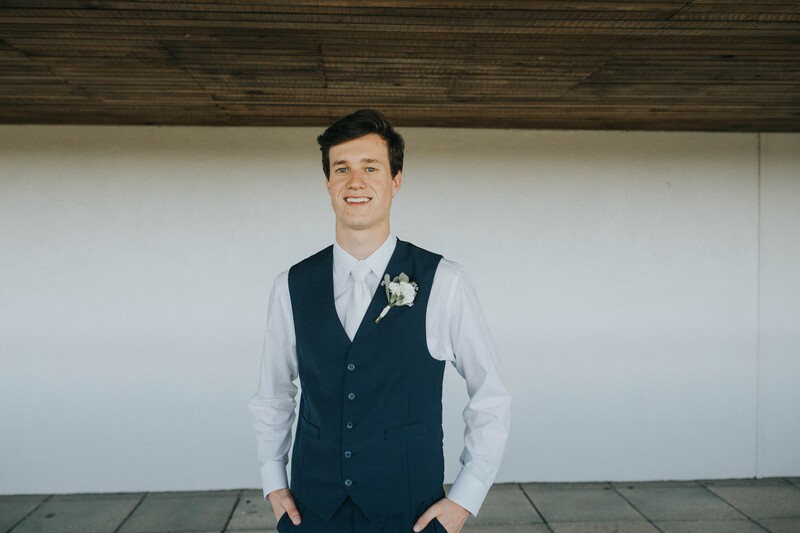 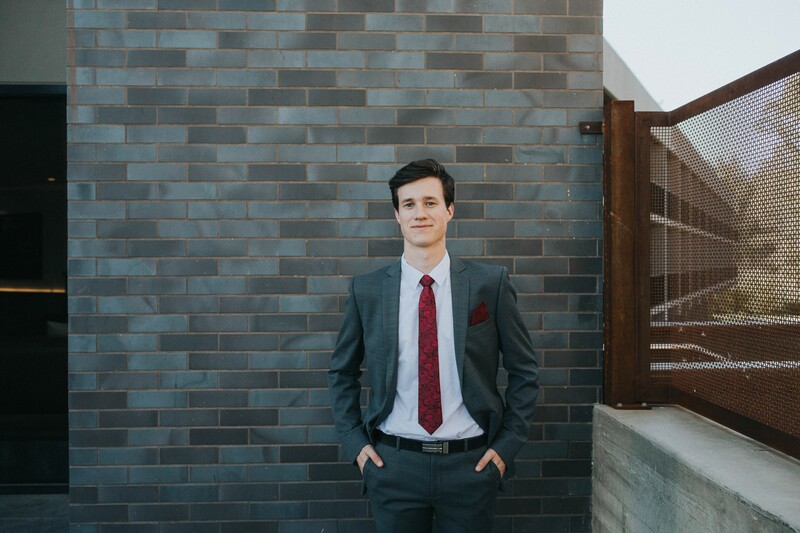 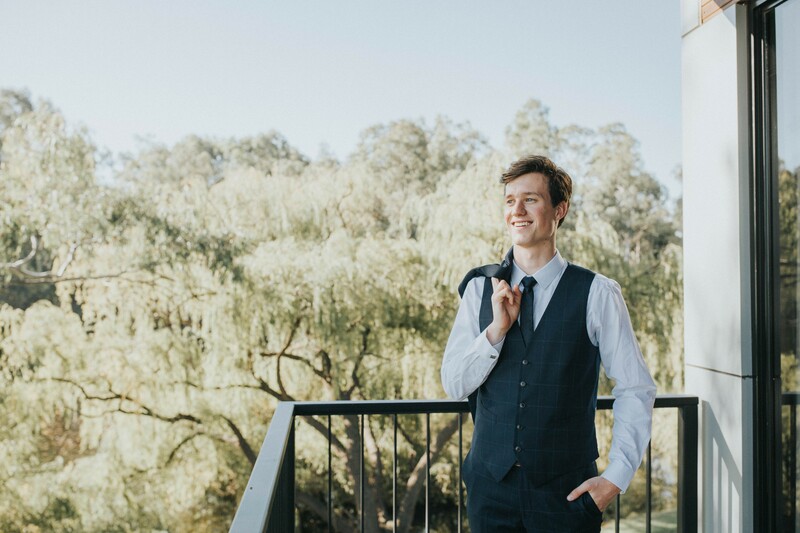 Suit: Matt O'Keeffe Mensland. 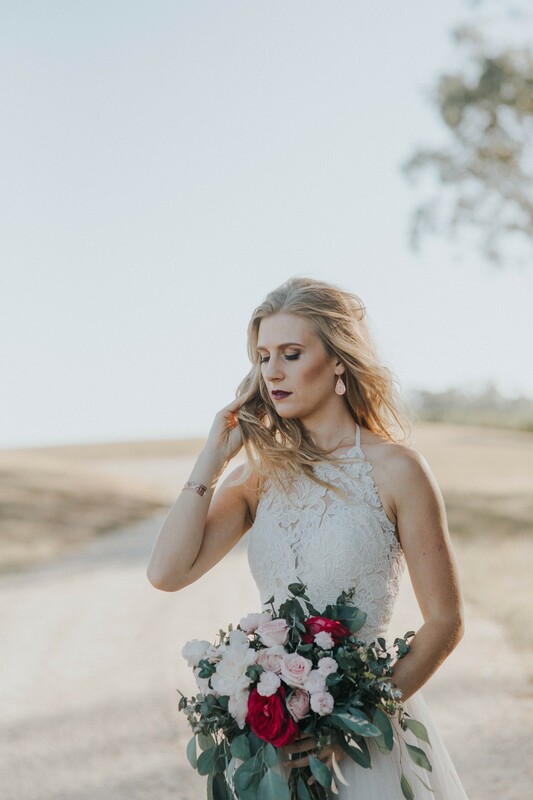 Mickala Thomas - Pure Mac Photography. 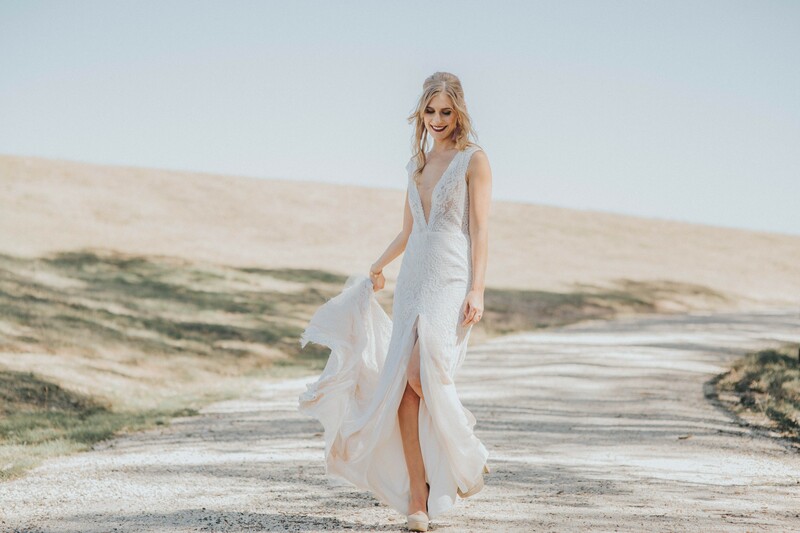 From classic silhouettes and glamorous ballgowns to slinky styles and whimsical boho designs the modern bride is spoilt for choice with Bride and Groom's 2018 Autumn/Winter photoshoot. 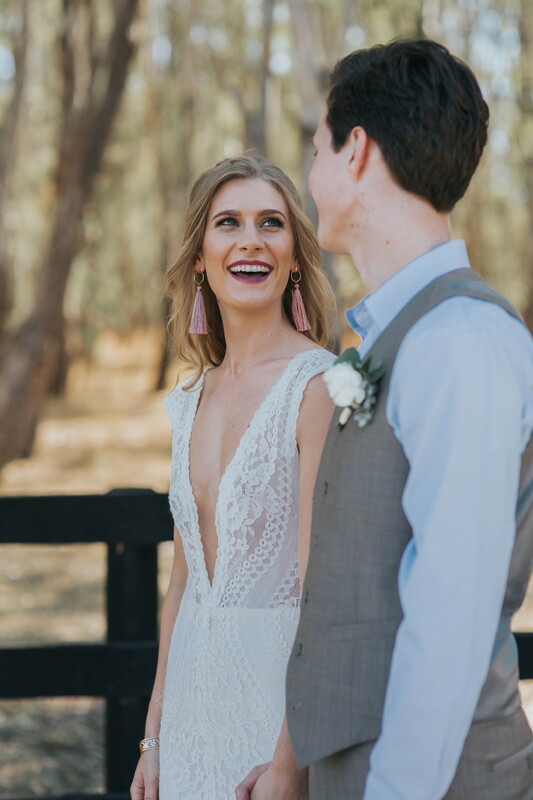 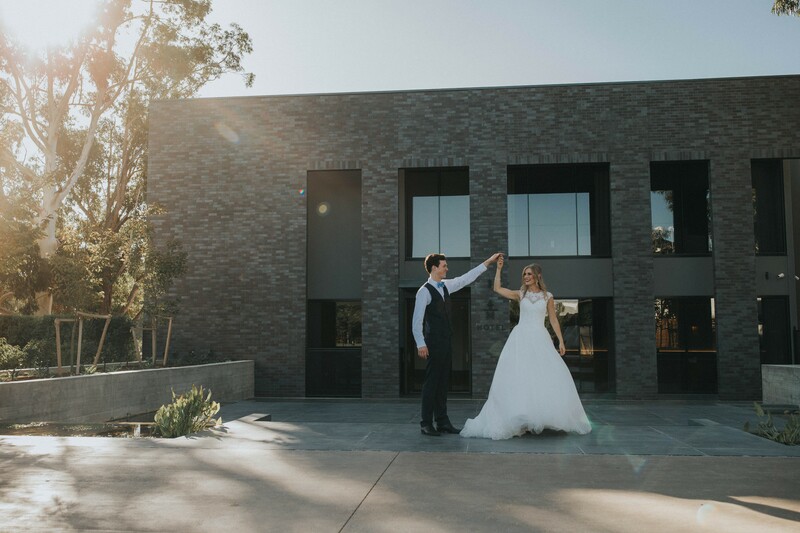 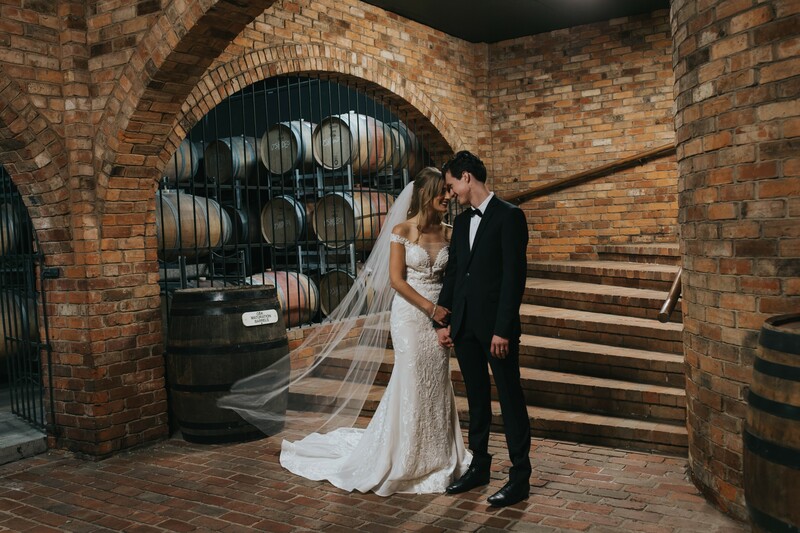 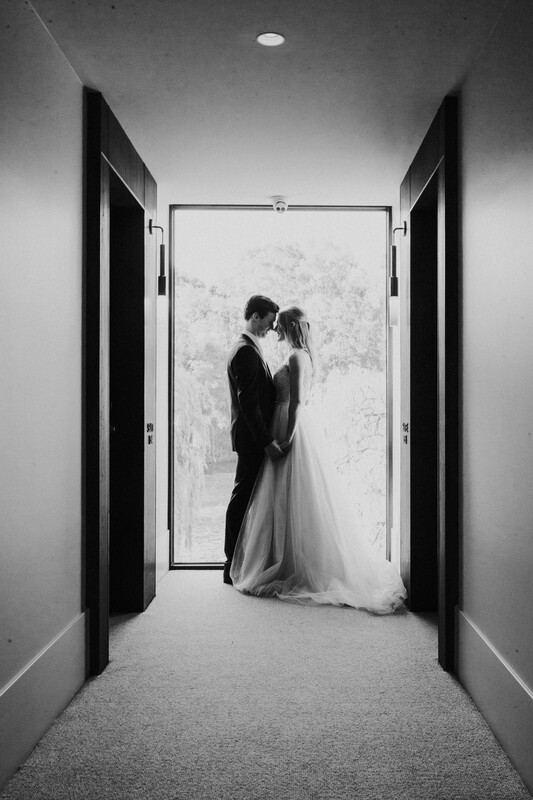 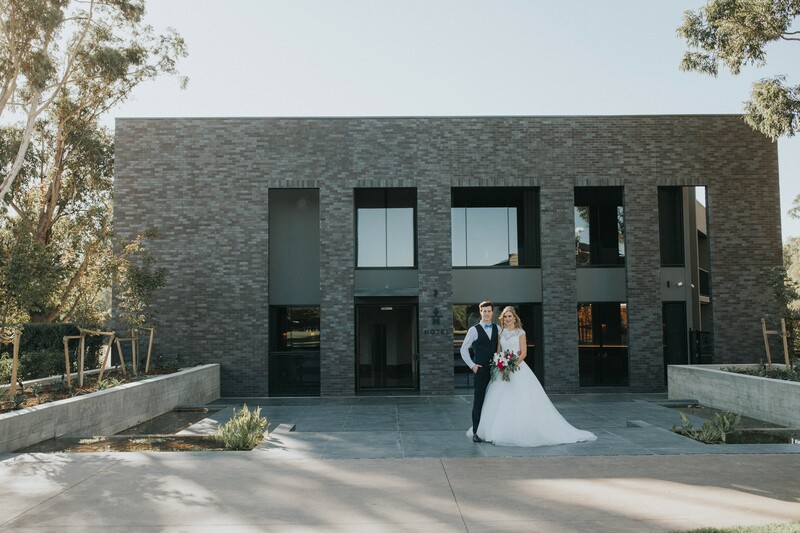 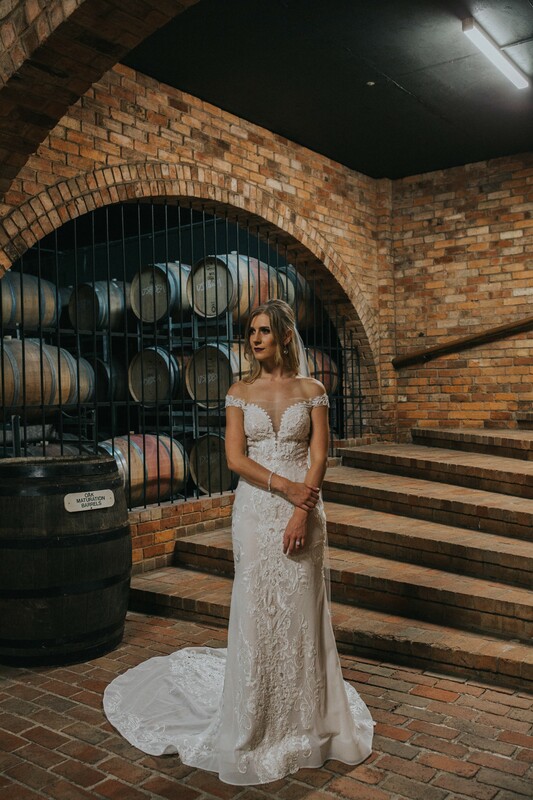 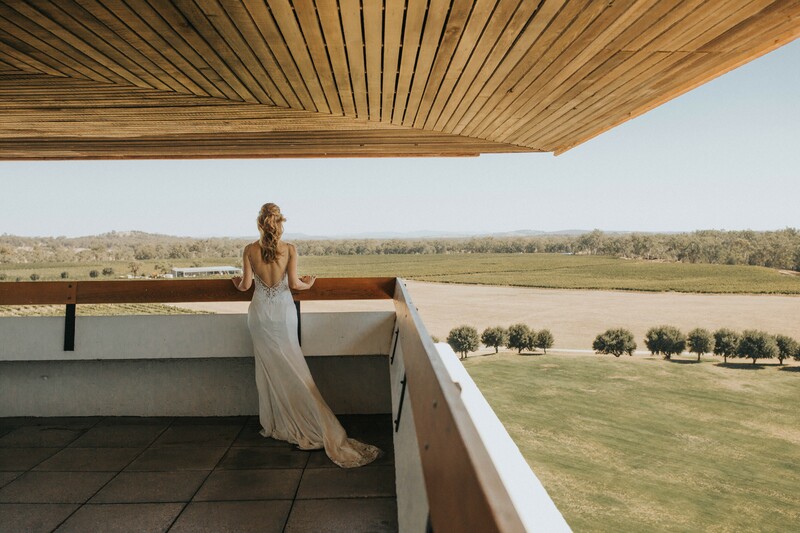 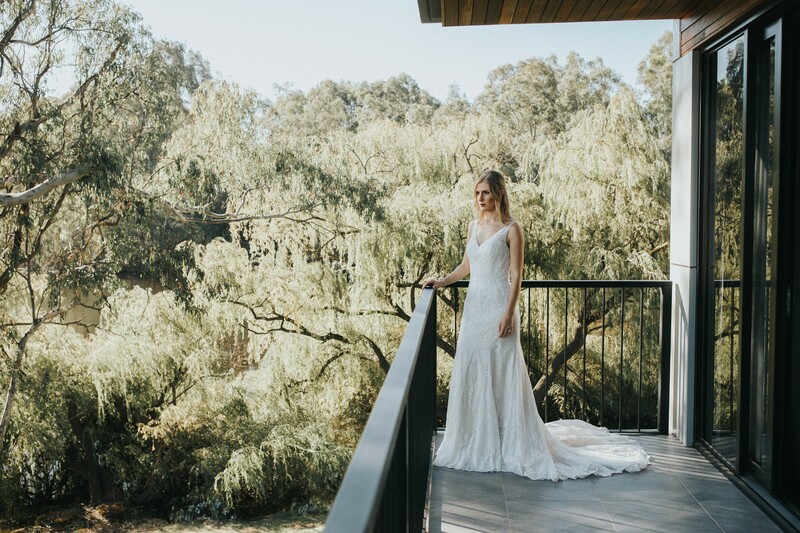 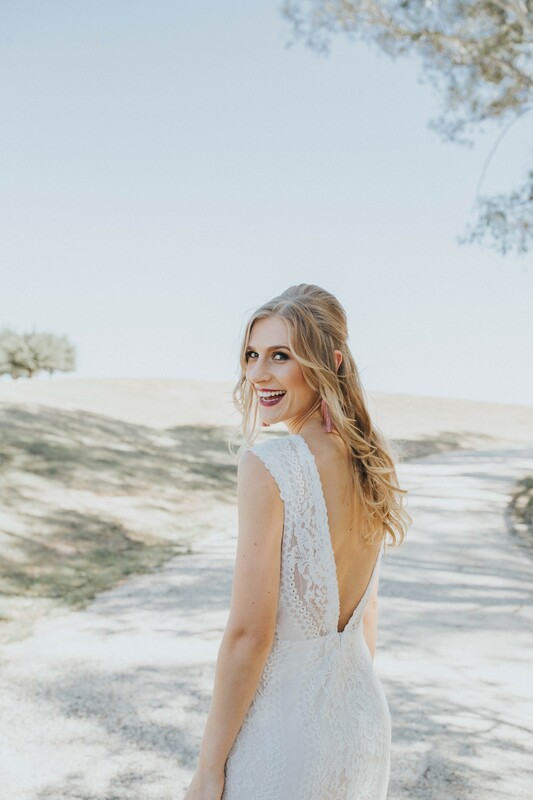 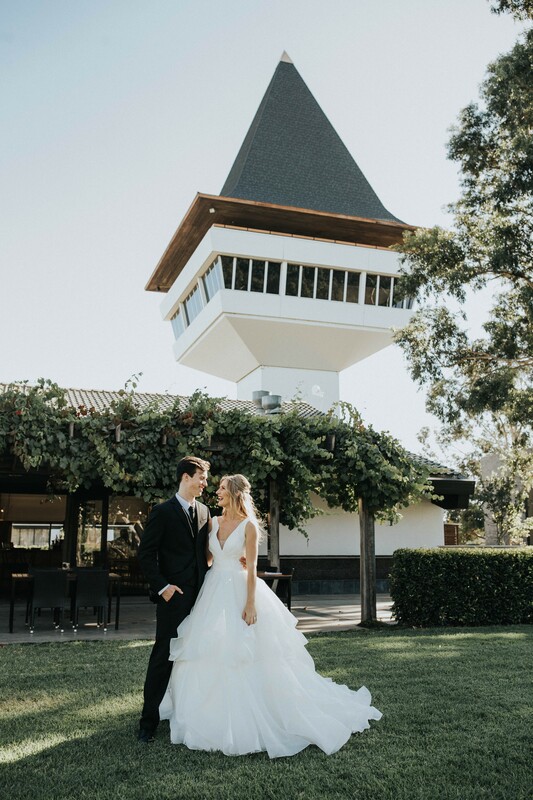 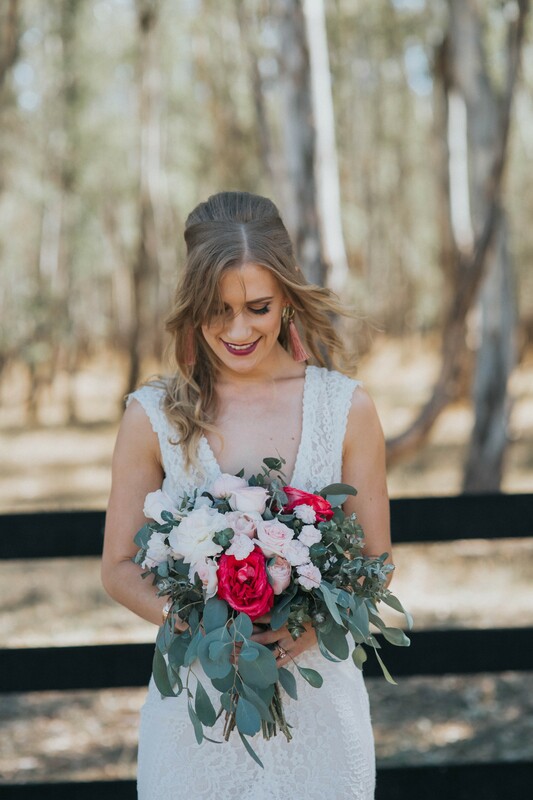 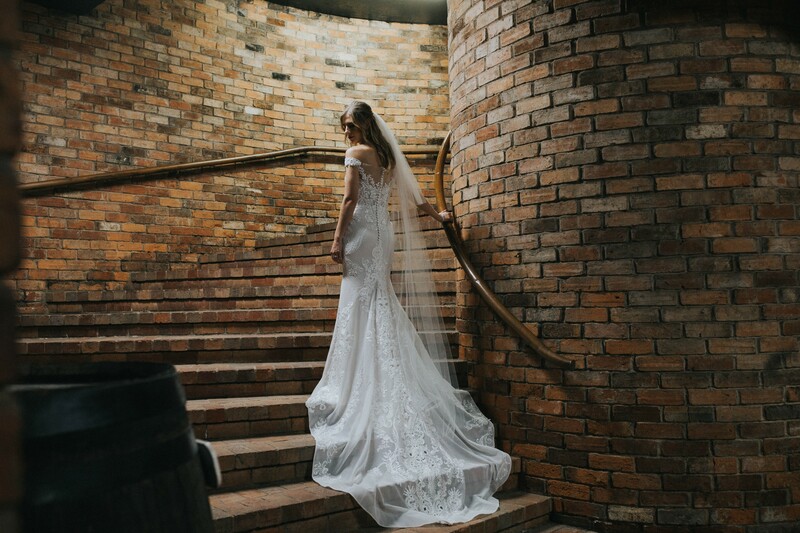 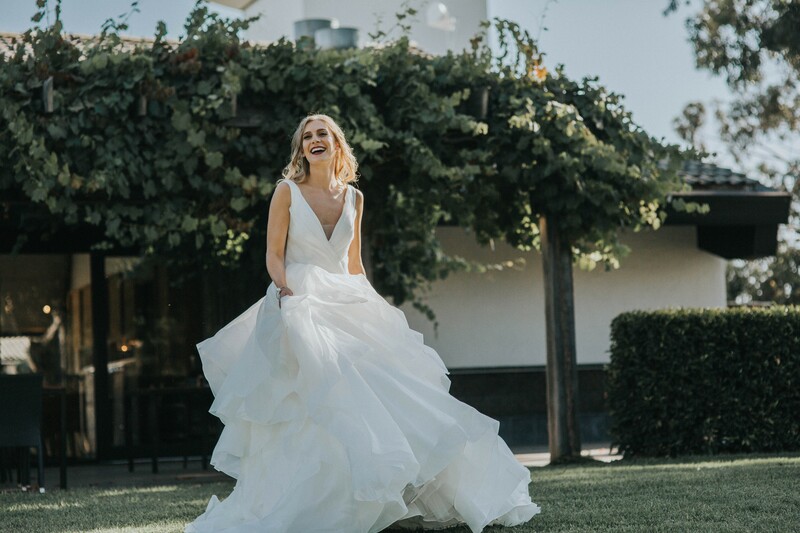 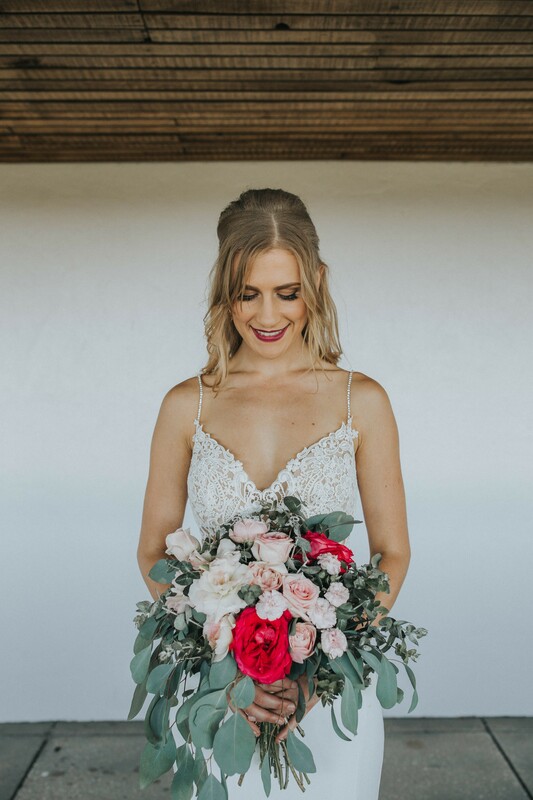 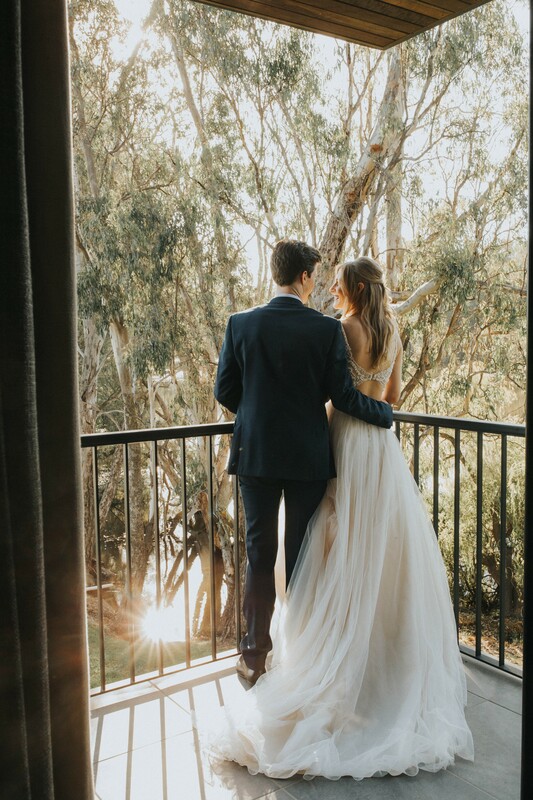 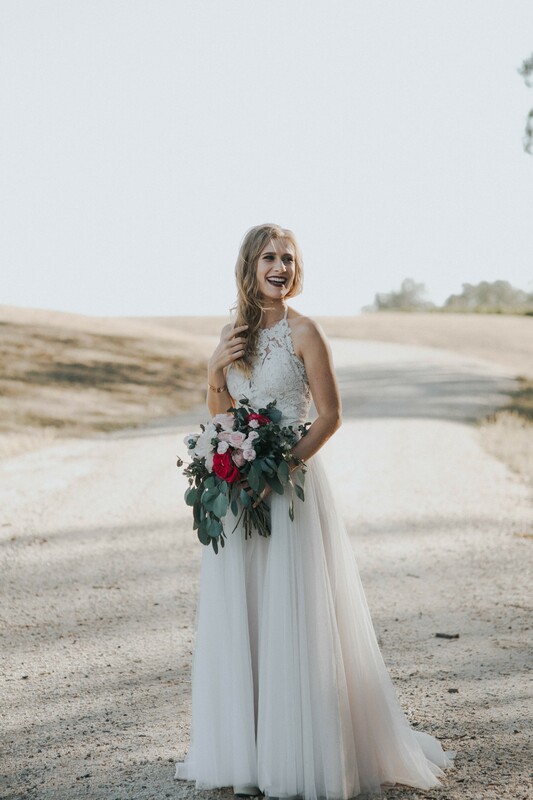 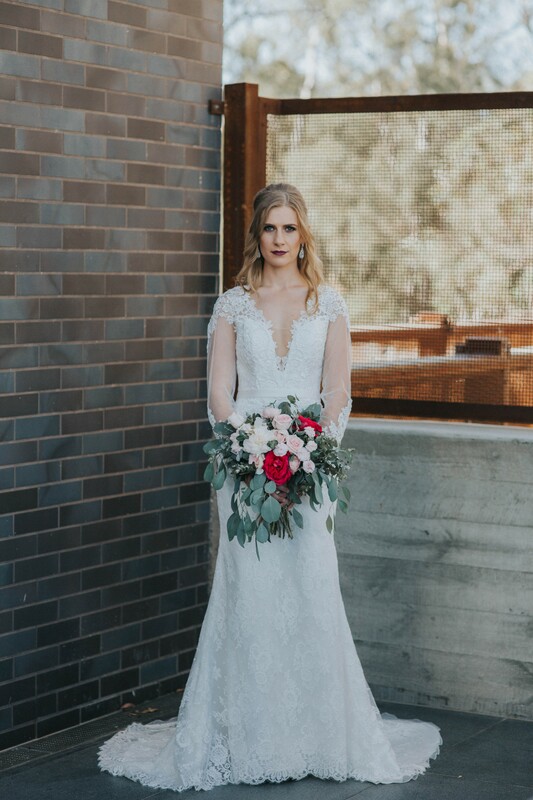 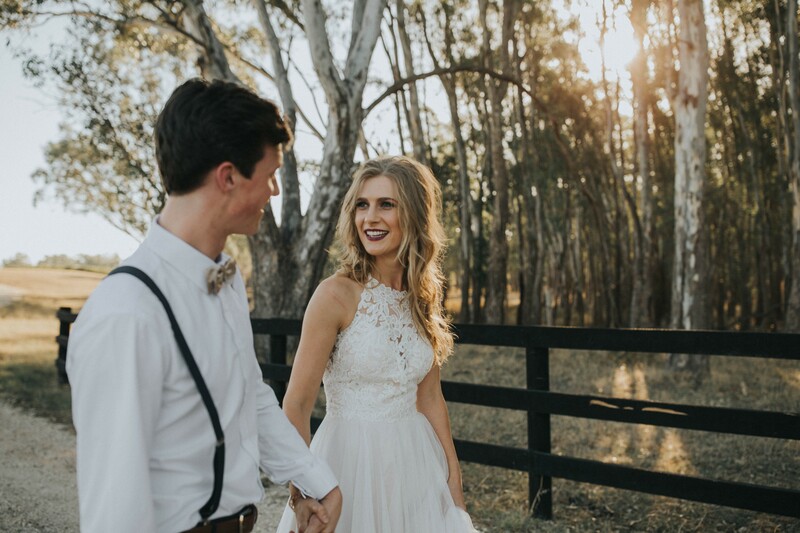 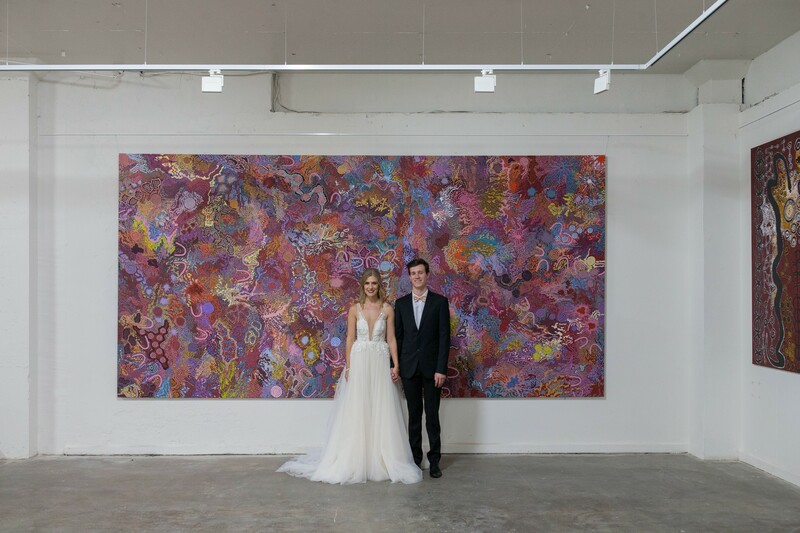 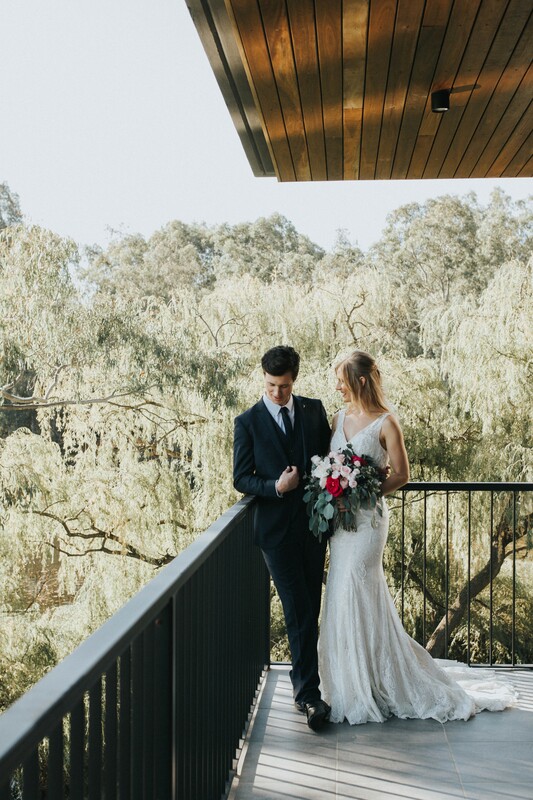 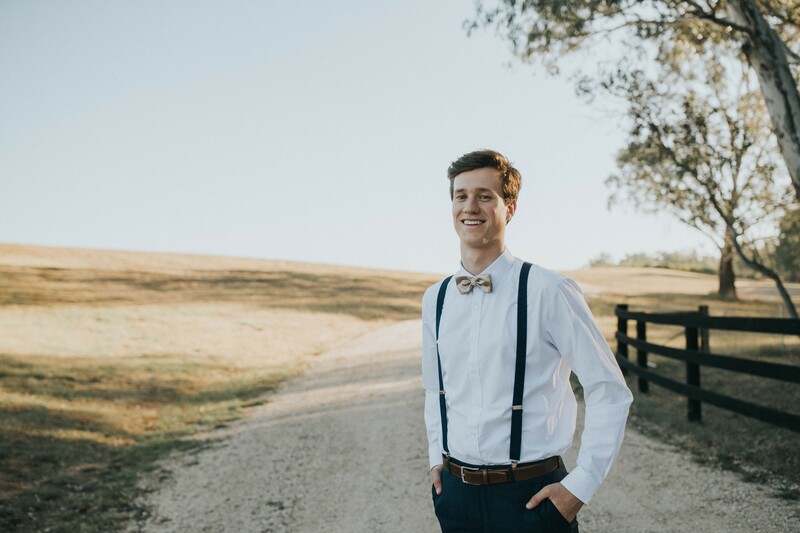 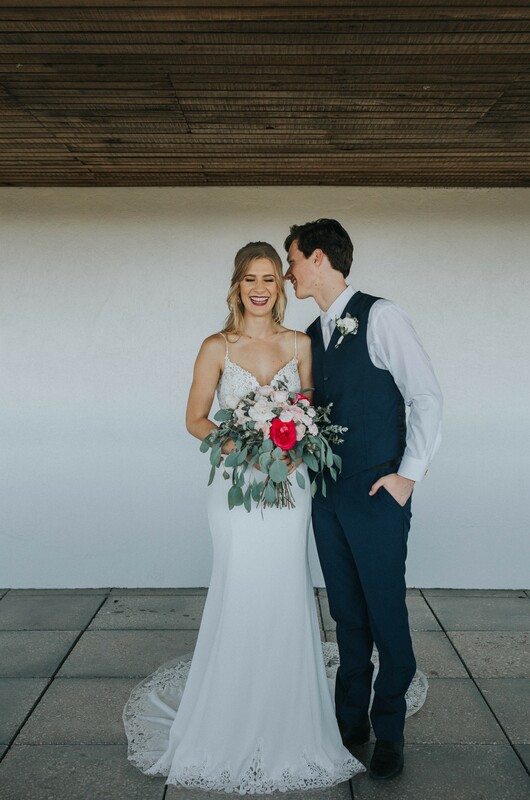 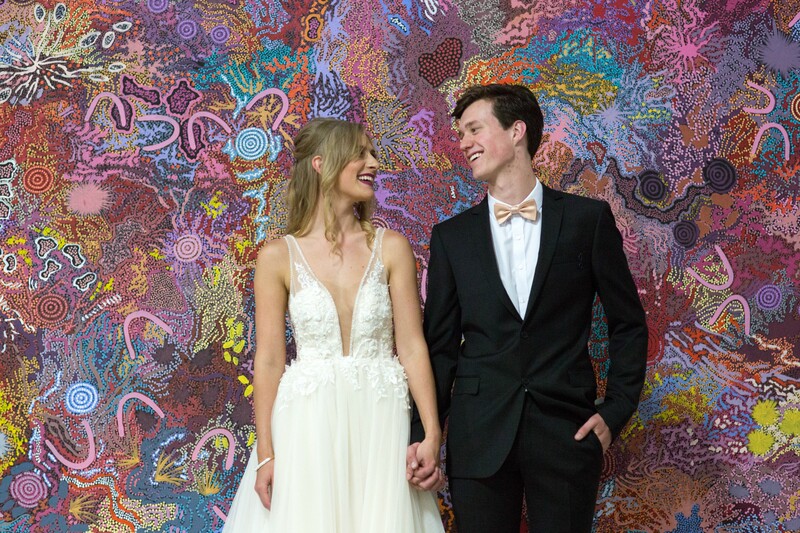 Mitchelton Wines is a chameleon when it comes to wedding venues making it the perfect setting to explore the latest trends in bridal fashion. 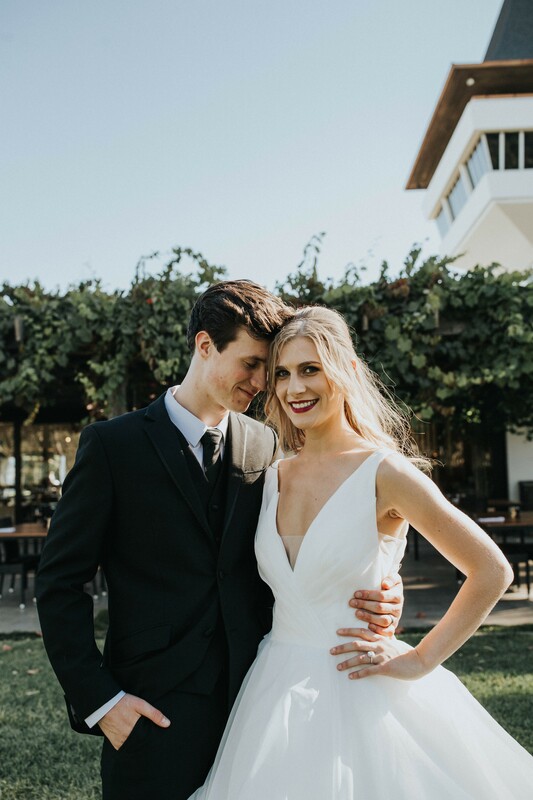 Dress: Michele's Bridal and Formal Wear.